Peaks, dams, lakes, waterfalls, forts, caves, you name it. Lonavala has it all! It is an enchanting hill station, located just 83 km from Mumbai. The name Lonavala is derived from two Prakrit words Len and Avali which translates to "a series of resting places carved out of stone", in simple words, it refers to caves. Khandala is another hill station, settled right before this beautiful town, and is almost always synonymous to Lonavala. These two hill stations, snuggled in the lofty Western Ghats, make for a perfect weekend getaway destination, with their beautiful landscape and natural resources that are enhanced by mystic climate. Chikki, a hardened sweet candy usually made of peanuts, is a famous snack of Lonavala. Enjoy hot and delicious Vada Pavs and Masala Chai coupled with the scenic beauty of Khandala and Lonavala! The two hill stations have much to offer. If you wish to witness lakes, waterfalls, and dams brimming with water, then visit during the monsoon months of June to September, when there are heavy, incessant rainfalls. However, if you just want to view the enchanting nature or go for a trek, then the winter months of October to February is the ideal time to visit. You can comfortably travel and the rain-fed lush greenery will be breathtaking to see. The route from Mumbai to Lonavala is quite simple. Khandala comes right before Lonavala, so you may stop here first. It takes just about 1 h 40 min to complete this 83 km long journey. Here are the places you can visit in the twin hill stations. Since the distance between Mumbai and Lonavala is quite short, there isn't much to see on the way. However, the city of Navi Mumbai comes on the way, which has a few places that can be visited like the Wonders Park, Pandavkada Waterfalls or Parsik Hills. Apart from that, the changing vistas of city traffic and buildings to lush greenery while driving through the expressway is an enthralling experience. Visit these places of interest in these twin hill stations of Maharashtra. Tiger's Leap is the most popular peak that is located in Lonavala. It is perched at a height of 2,100 ft and offers a magnificent panoramic view of both the hill stations. During monsoon an active waterfall can also be seen nearby. Lion's Point is a cliff nestled between the Bushi Dam and Aamby Valley, that gives a complete view of the Tungarli Lake. Duke's Nose is also viewpoint, that was given the name due to its resemblance to the Duke of Wellington's nose. Amrutanjan Peak is in Khandala, which gives a brilliant view of Duke's Nose as well as the entire town of Khopoli. For all the adrenaline junks out there, Lonavala is filled with innumerable places to trek. To reach the viewpoints like Duke's Nose, Lion's Point and Tiger's Leap, you need to trek. These treks are relatively easy, one-day treks that are perfect for beginners. Apart from the viewpoints, regular can be undertaken to the many forts of Lonavala like Lohagad Fort trek, Korigad trek, Ghangad and Tailbaila Fort trek, Rajmachi Fort trek, to name a few. In fact, Lonavala is filled with around 10-15 places to trek! All these treks can be concluded with a night's camping at the base of the trail or on the top of these peaks. Located about 2 km from Khandala, Kune Falls is perched at an altitude of 2000 ft making it the 14th highest waterfalls of India. With the lush green Western Ghats as the backdrop, the Kune Falls offers a breathtaking view that cannot be forgotten! The waterfall is particularly glorious during monsoon since it will be rain-fed and gushing with full speed. With an elevation of 135 ft, Dudhiware Waterfall is known for its adventurous waterfall rappelling. Rappelling is an adventure activity which involves descending the rocky slopes through which the waterfall cascades, with the help of a safety rope. You may check the many local services or adventure groups that regularly plan such activities at Lonavala. These ancient caves date back to the 1st century BC. It was maintained up to 1861 by regular painting and cleaning of the place, to facilitate the British officers who enjoyed spending their time in the caves. It consists of two main caves, one known as Chaitya or the prayer hall, while the other is the Vihara or monastery. These caves are decorated exquisitely with carvings that reflect the art of the Buddhist era. The Karla and Bhaja Caves are regal rock-cut Buddhist caves that have been built from the 2nd century BC to 5th century BC. The caves are a protected monument under the Archaeological Survey of India. The Karla Caves are found on the ridges of the Western Ghats, that is, it's built into a rocky hill with large cut windows. The prayer hall or Chaitya is lined with many pillars that have inscriptions, The caves also have beautiful carvings on the walls. The Bhaja Caves are a group of 22 caves, that share architectural designs similar to that of the Karla Caves. The carvings in Bhaja Caves show that the Indian instrument Tabla was used 2000 years ago! The two caves are 7 km apart. Rajmachi Fort is a complex of two citadels, namely, Manaranjan and Shrivardhan Forts. Historically, the Rajmachi Fort was used as a strategic location to control the Borghat, which is the passage between Khopoli and Khandala. Several temples can also be found in the fort. Along with that, magnanimous gateways, strong walls, reservoirs and other such units can also be found within the fort. The two forts of Rajmachi are well-known for their architectural splendour. The fort remains open from 9 AM to 6 PM on all days. Apart from the fort, Rajmachi is home to a Wildlife Sanctuary where you might spot exotic and rare flora and fauna. While trekking upto the fort, bird-watching can also be done. Lohagad is another beautiful hill fort located in Lonavala. Visapur Fort is connected to the Lohagad by a small range, and was built much later than the Lohagad Fort. The two forts were mainly under the Maratha rule, and briefly for a period of 5 years under the rule of the Mughals. Visapur Fort is larger than the Lohagad by size and it consists of cisterns, caves, old houses within the fort. During the British Rule, the Visapur Fort was used as a vantage point to safeguard against the Marathas in Lohagad. Lonavala has an abundance of all! Apart from the three forts already mentioned, Khandala and Lonavala are surrounded by forts such as the Tikona Fort, Tunga Fort and Koregad Fort. These isolated hill forts are visited by nature and adventure enthusiasts since they are on lush green hills andmakefor a rejuvenating trek. These forts are dotted with many small unexplored caves. A visit to Lonavala is incomplete without witnessing the popular lakes of Lonavala. Located just 1.6 km from the town centre, Lonavala Lake is a beautiful and serene lake that is visited by both tourists and locals. 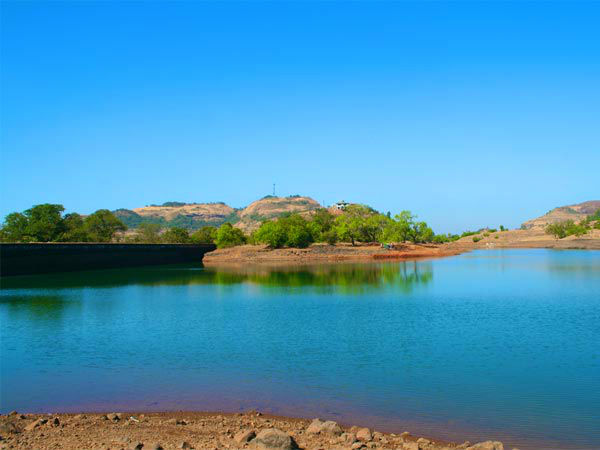 Tungarli Lake is also a place of picnic, that serves as the major source of water to the people of Lonavala. The lake is home to Tungarli Dam which was constructed around th 1930s, during the British rule. However, the lake is only available during monsoon when it is rain-fed. During the other months the lake remains dry. Like previously mentioned, Lonavala is filled with all sorts of places to visit. The town houses innumerable dams, of which Bushi Dam is the most popular spot. Bushi Dam forms the Bushi Lake which is a favoured weekend destination for the people of Lonavala and other tourists. Tungarli Dam, Valvan Dam and Pawna Dam are some of the other dams of Lonavala that serve as great places for picnic to just lay back and enjoy a cup of masala chai with a stunning view.